As an entrepreneur and leader, I’ve chosen to kick fear to the curb. Is it easy? No. Is it essential? Absolutely! What heights can you achieve if you choose to push past fear and embrace your destiny or live your passion?! 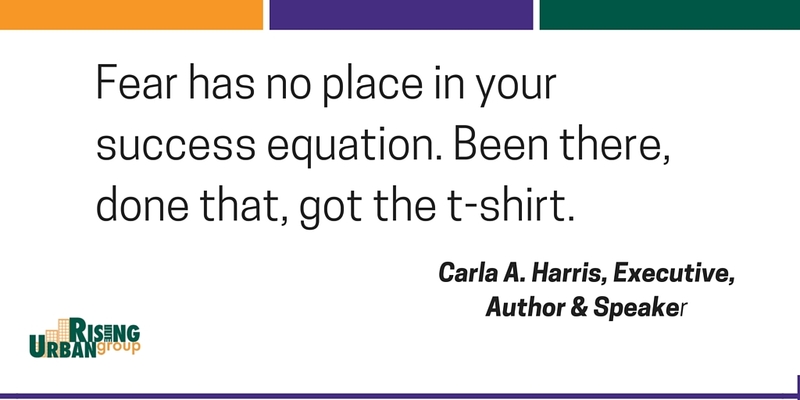 Take a cue from accomplished author, executive and singing artist, Carla A. Harris and banish fear to a worn, painting clothes-relegated t-shirt at the bottom of your dresser drawer! !